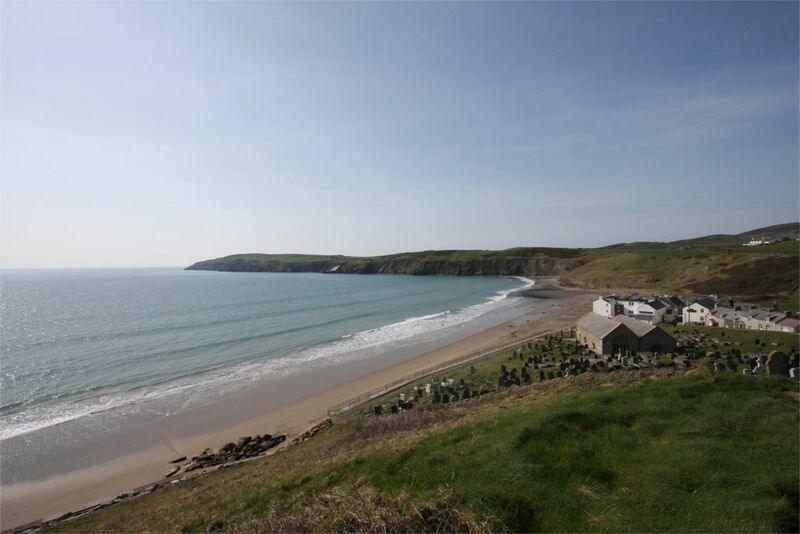 There is a large car park in Aberdaron open 24 hours that is owned by the National Trust - free parking for National Trust members. Please do not park along the roadsides obstructing traffic. Many thanks to Tony Jones of www.rhiw.com for the use of images from his website and for all the detailed information about Aberdaron & Rhiw to be found there. Also to Ffion Kervegant for all her excellent work on the Welsh translation. Dogs are allowed on the beach either side of these restriction areas, which are clearly sign posted - maps illustrating these areas are also present in notice boards located at the beach entrances. Dogs must also be kept on a lead at all times on the promenades, and owners are expected to clean up any mess after their dog, or risk a maximum fine of £1000 [Dogs (fouling of land) Act 1996]. Dog fouling bags are available from the Council's Beach Supervisors, which are on duty on most of the above beaches between the middle of June and the first week in September. There is a large car park in the village open 24 hours. Please do not park on the road side obstructing traffic. There are two sets of public toilets in Aberdaron. One by the car park and the other along the promenade. There is a bus stop in the village, by the Spar with a regular service to Pwllheli, where there is a British Rail station. The village Post Office is in Spar Stores. The nearest petrol station is in Sarn Mellteyrn, there is a cash point at Sarn PO. The nearest town is Pwllheli, which has a leisure centre, marina, fun fair, shops, chemists and banks. There is evening entertainment in the Sailing Club and local pubs. The local doctors' surgery is in Botwnnog: 01758 730266. The nearest A&E is in Bangor at Ysbyty Gwynedd: Ysbyty Gwynedd, Penrhosgarnedd, Bangor LL57 2PW.